Tickets are on sale, and there are still rooms at the lodge! 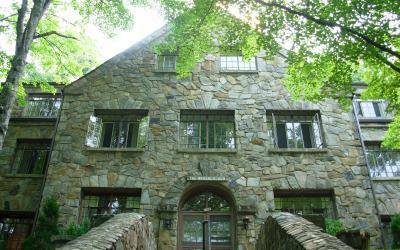 A whole weekend of gaming fun at the beautiful Montreat Conference Center, just outside of Asheville, NC. Only $10 for the whole weekend! Click here to buy yours now. There's still room at the lodge! We've booked the entire Winsborough Lodge for our gamers...and while rooms have been going fast, there are still some left. The Winsborough is only a few minutes' walk from our gaming space, and reasonably priced at $65/night. Click here to choose your room! We're working on some pretty fantastic t-shirts, arranging food delivery during the con, figuring out prizes for the costume contest and other goodies. Stay tuned for more details as we get it all sorted out. Also, this is the next to last week to sign up to run a game. If you haven't done so yet, get in touch with us to let us know what you'd like to run.